I went to the same nail place twice while I was in training. It's Ivy Nail and Spa in Arlington. They did a really good job. 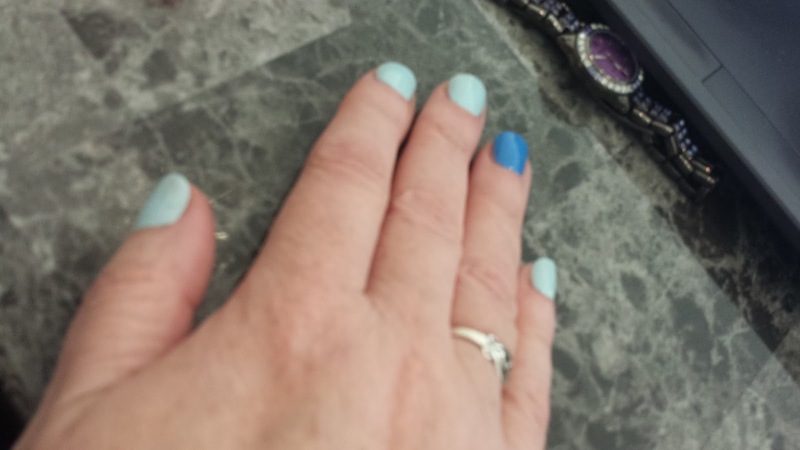 This is a photo taken the day I got the manicure a week ago Saturday. Even doing my daily stuff, the (non-gel) polish stayed on just above a week before beginning to chip. It's a really good deal, too.